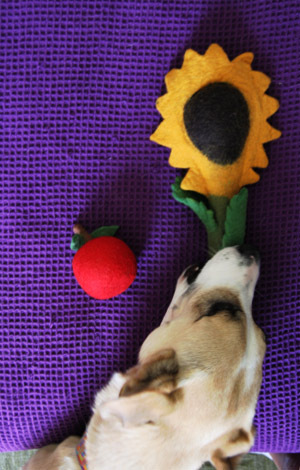 Saffron loves the felt tomato and sunflower made by A Cheerful Pet that we got her. In fact she couldn’t wait while we were taking photos of the new toys. 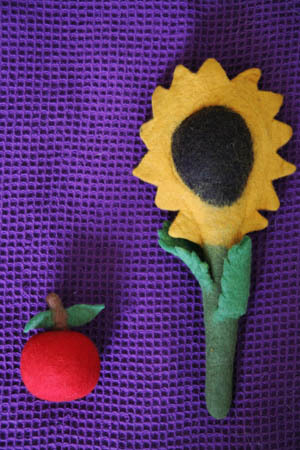 The sunflower is a favorite for shaking and biting. I think the wool smell also makes the toys attractive. The tomato rolls and bounces like, well…a ball. And those are fun! The humans here think the toys look really nice, in fact, they look like art. Which I like to see lying around the house a lot better than frighteningly colored rubber hamburgers. A Cheerful Pet toys are designed by 19 year old Rebekah Steubing and her mom Cheryl and are made in Nepal, where the Steubings first learned about the craft of boiling wool. 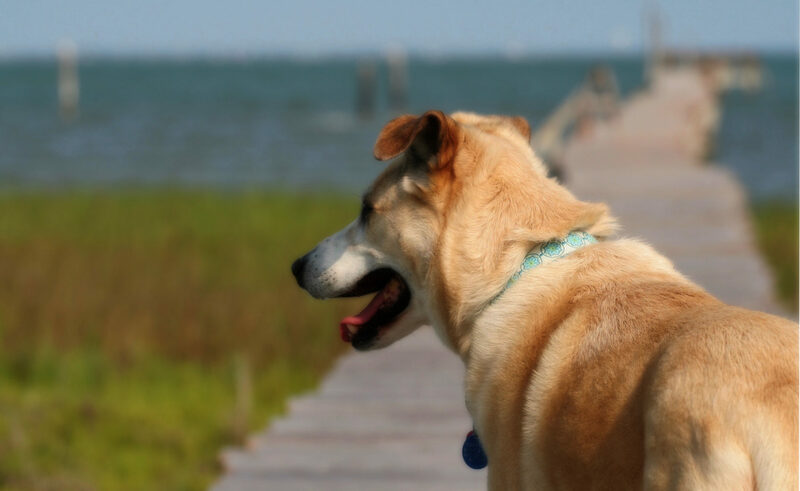 A Cheerful Pet has so many fun toys—colorful fish, jack-o-lanterns, Frizees (frisbees), Tugzeez (the green one looks just like a big piece of bull kelp! ), balls, and the tomato & sunflower we got. They also have pet throws and coats in all sorts of wonderful colors. Proceeds from the sale of the PUMA collection benefit the PUMA orphanage in Nepal.